If you haven’t started playing The Elder Scrolls Online yet, now might be the perfect time to start. Today sees the release of the next great expansion for the game in Morrowind. Not to mention, players now have access to a numbers edition including The Elder Scrolls Online and the Morrowind expansion. The DLC is a great expansion both for longtime fans of the franchise and new players who want to try their hand at their first MMO. Morrowind also marks the largest DLC additions to the game since it initially launched. If game content, exploration and depth are a major selling point for gamers, than The Elder Scrolls Online pretty much has that in spades at this point. Not to mention, Morrowind adds a great deal of new content to an already comprehensive MMORPG. The developers are promising more than 30 hours of new content in just the main story quests alone. New players need not worry. The new expansion utilizes all the latest updates for the game, including the massive 2016 update One Tamriel. So, all the the levels will offer appropriately scaled challenges whenever players get started or whenever they go into a new zone. As a result, players will have access to a much more balanced gameplay experience. 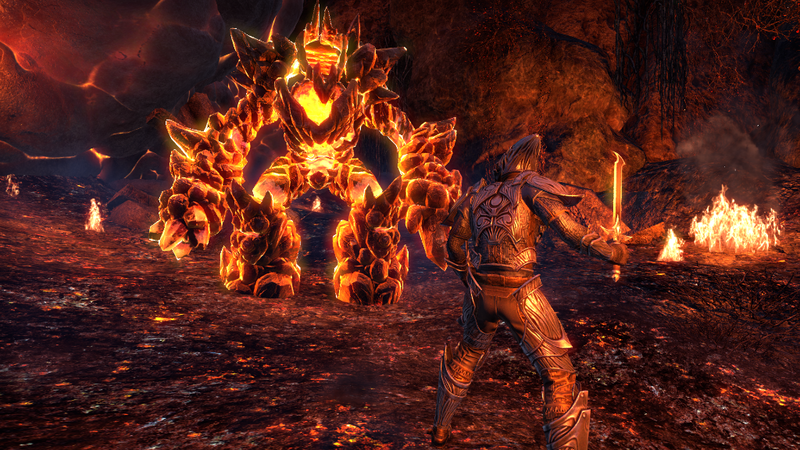 Developer ZeniMax Online Studio has also confirmed there isn’t a level cap for the new content or features. Basically, even new players who are at a low level can enjoy all the new content and features with Morrowind. So, if gamers simply buy the standard game and the Morrowind expansion, they won’t have to spend hours and hours grinding to access the new content. Players will have the option to start with a new character and dive into all the new content and explore the new realm of Vvardenfell. And, they will be able to access that zone and all that content right at level 1. On top of that, Morrowind will have a Tutorial starter area as well. This starter area will be accessible to new and veteran players. Through this area, even level 1 players will be able to start right with the Morrowind expansion and go from there. Morrowind brings a number of new features to a game that’s already jam-packed and full of depth. For starters, it introduces a completely new realm with the classic, iconic realm of Vvardenfell. Fans of The Elder Scrolls franchise will remember Vvardenfell from The Elder Scrolls III. The iconic island is back, and it even has the same geographic mass in TESO. Many of the key points from the classic RPG have made a return here, including the docks of Seyda Neen, the volcanic Ashlands, the towering mushrooms, the wizard enclave of Sadrith Mora, the towering spires of Daggerfall and the dark and murky Black Marsh. The addition of Vvardenfell includes new quests and a lot more areas to explore. If that hasn’t piqued your interest enough, Vvardenfell is the biggest new zone in the game ever. 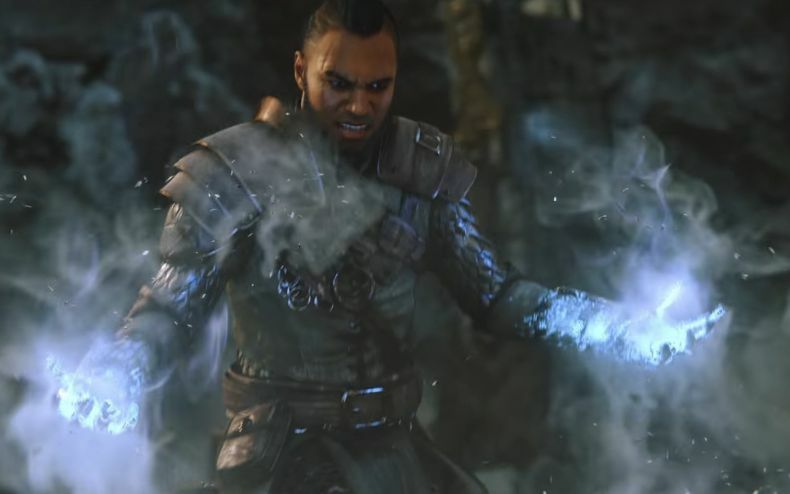 Another new reason to get excited about Morrowind is The Elder Scrolls Online’s first new player class in The Warden. 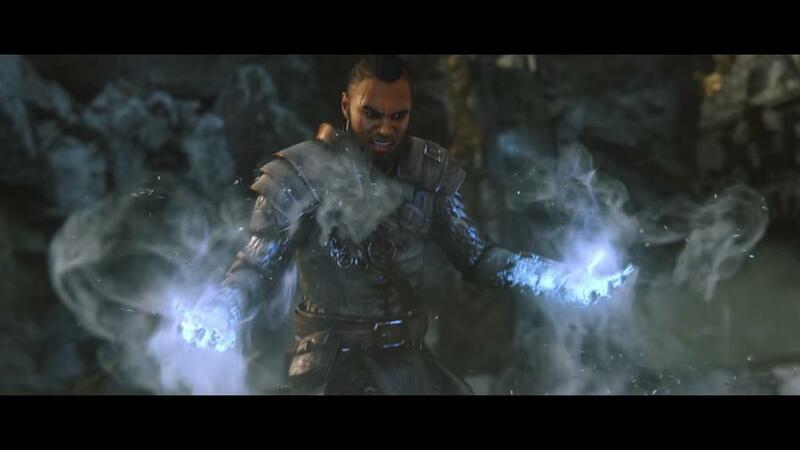 With The Warden, players will be able to access nature-based magic and abilities. On top of that, players will get to ride into battle with a new combat ally in the War Bear. That’s right, you get to use a giant War Bear as your battle mount. Players will be able to select the skills for their Warden character and develop them as they see fit. For new players, the Warden class will be able to encompass a number of gameplay styles depending on your preference. While the game already has about 30 hours of content in the main story mode alone, there’s also the addition of a brand-new gameplay mode called Battlegrounds. Here, players will be able to enjoy a fast-paced 4v4v4 PvP mode. These battles are meant to move fast and will be set in arena-type environments. 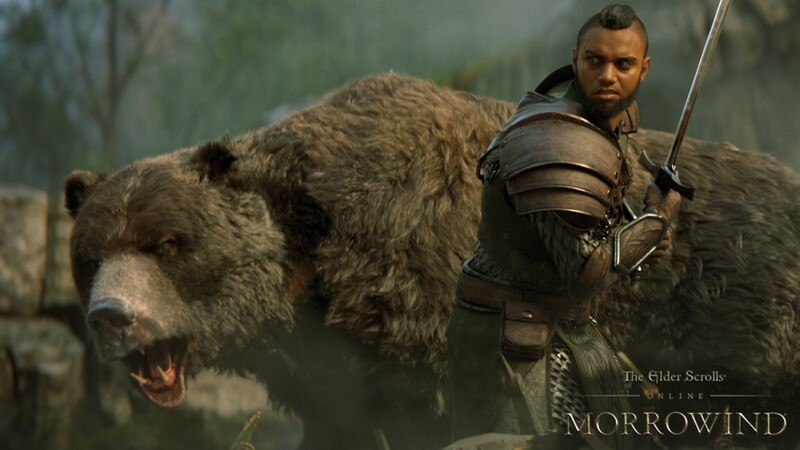 So, if players are more into MOBA type gameplay, Morrowind will have them covered there as well. The Battlegrounds PvP mode will utilize close-quarter combat, so players who like to get in close to defeat their enemies will be right at home here. For new players who are into multiplayer and co-op gameplay, there’s also a new 12-player dungeon called the Trial. Overall, the expansion appears to offer a ton of new content that will suit a variety of different gameplay modes and gameplay styles between the story quests, the new PvP mode, and a new 12-player cooperative dungeon. The Morrowind adventure tells a tale that is set 700 years before the events of The Elder Scrolls III. Vvardenfell is facing total annihilation from a deadly meteor that will soon crash onto the land. Players are on a quest to save the world, and they will have to get help from a legendary Morag Ton assassin in order help Vivec, the warrior-poet and Guardian of Vvardenfell, who needs to regain his strength. Vivec is a demi-god who lost his powers, and players must help restore those lost abilities so Vivec can protect Vvardenfell from its ultimate end. 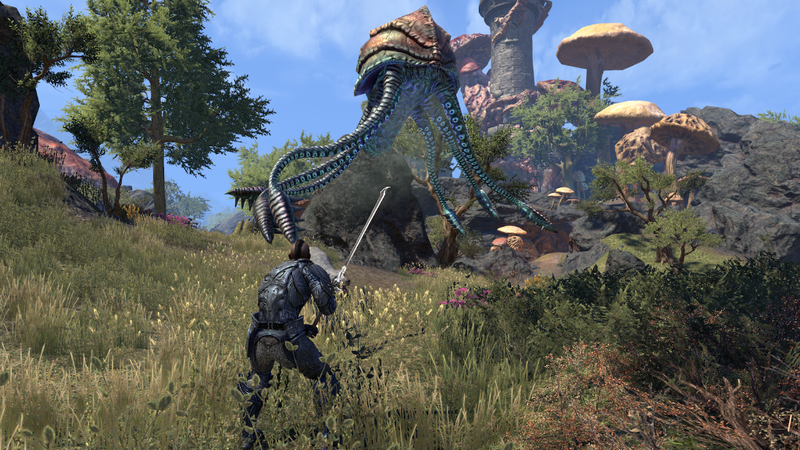 The Elder Scrolls Online Morrowind arrives for its multi-platform release on June 6. The game will be available on Xbox One, PlayStation 4, Windows PC and Mac OS. Players can select from the Collector’s Edition, the Digital Collector’s Edition, the Digital Collector’s Edition Upgrade (Morrowind upgrade only), the Standard Edition, and the standard Morrowind Upgrade (standard Morrowind upgrade only). You can find more pre-order details and details on the alternate editions at the game’s official website.